Commercial HVAC & Plumbing Services | Boston, MA | Cooling Unlimited, Inc.
Keeping homes comfortable and convenient throughout the year with quality heating, cooling and plumbing services is only one part of what we do at Cooling Unlimited, Inc.. We are also committed to providing the best available commercial services to businesses of all sizes throughout the Boston, MA area. If you are a business owner, you certainly don’t need us to inform you how vital it is for day-to-day operations that you have a comfort system ready to handle any temperature extremes without wasting power, and that the plumbing works flawlessly. No matter what commercial services you are looking for, you can rely on our certified technicians to deliver. They are qualified to install extensive HVAC systems and offer 24-hour emergency service. When you call us, we’ll have a technician dispatched to your business within an hour with a fully-loaded emergency response vehicle. Put your trust in us, and we will see that you’re satisfied with every job we do. 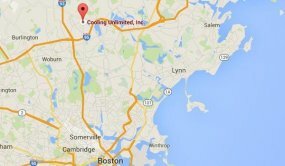 For quality commercial services in Boston, MA and the surrounding areas, contact Cooling Unlimited, Inc..
Are You Looking for New Commercial HVAC Systems? If you need to replace an older commercial air conditioning and heating system, or if it’s time for the first HVAC system installation in a new building, let us take on the important responsibility of selecting the new unit and installing it. Our technicians have designed a 57–step program to meticulously size the new comfort system, and we guarantee that it will provide you with the efficient performance you want. Almost every business uses plumbing in one form or another. Some businesses, such as food service companies, are dependent on working plumbing throughout the day to operate. Our commercial plumbers offer all the same quality services for businesses as we do for homes. It makes no difference whether you’re looking to have a new piping installed, repairs for leaking appliances, a replacement fixture, or drain repair: you can feel confident that we can take care of the job, on time and done right the first time. Cooling Unlimited, Inc. started almost 30 years ago as a single–truck operation. We have grown tremendously in the years since to offer a wide range of plumbing and HVAC services for businesses in the area. But we’ve always remained family–owned and operated, and that means we bring a personal touch to our work. We care about your company and will dedicate ourselves to seeing that you receive the quality commercial service that you, your employees and your clientele deserve. Nobody wants to work inside a hot building during a sweltering summer day. And few customers or clients would want to patronize such an establishment. It’s important for your company’s success that you have an air conditioning system that can cope with hot weather extremes. Let us see that your building has relaxing indoor temperatures whenever the outdoor temperature starts to soar. The winters in Boston are often harsh, and this can put a tremendous strain on commercial heating systems. Our technicians are experienced with repairs and maintenance to keep these heaters operating reliably. They are also certified to install extensive new commercial heating systems. Call any time of the day or night when you need commercial heating assistance. 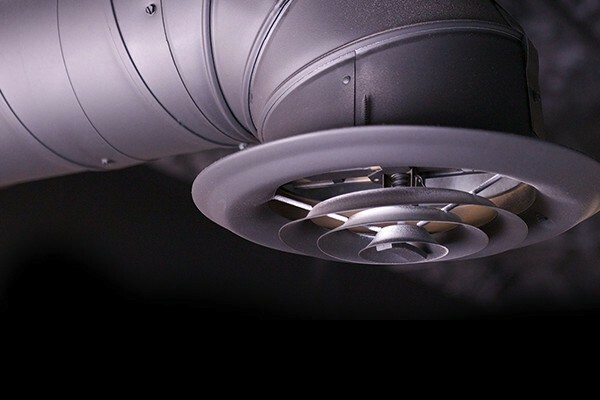 The quality of the air in your commercial building is a key part of maintaining comfort—it’s more than just heating and cooling! If your business suffers from stuffy or contaminant–filled air, call our commercial indoor air quality specialists to make an appointment to find the best solution to the issue. All the systems in a business need to be installed and serviced right, of course. But when it comes to plumbing it is especially important: bad plumbing can result in disastrous situations in a business, from heavily clogging to massive leaks that cause construction damage. Our plumbers will see that your commercial plumbing is the best it can possibly be.